The Last Encampment on Numbers 33 given in San Diego in 1980. Hierapolos is mentioned in Colossians 4:13. 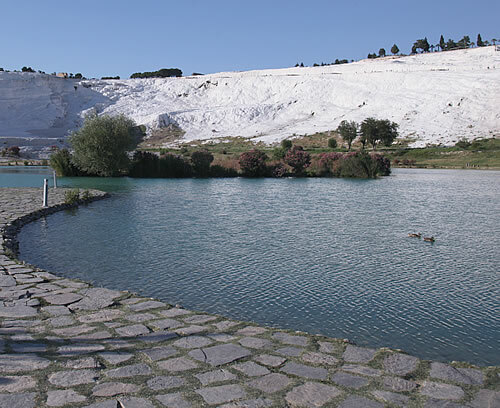 It was a popular place in ancient times because of its refreshing hot pools. The hillside is white from the calcium carbonate coming from the hot pools at the top of the hill. The pool shown here is not the one that is the source of the calcium carbonate or the pool that attracts visitors from around the world.